The Mighty Doonans with Andy May, Stanley Accrington, Jez Lowe, Michelle Holding & Bonz, Duncan McFarlane, Duck Soup, Mark Dowding, The Giggleswick Temperance Band, Dan Quinn’s Billy Bennet Show “Camisoles, Rissoles & Dover Soles”, Drop The Floor, Karin and Karl, Rosie Clegg with more to be confirmed. Please note that the Programme is now complete, however, anyone wishing to perform at the Open Mic session should contact Michelle Holding at mlholding82@yahoo.co.uk. 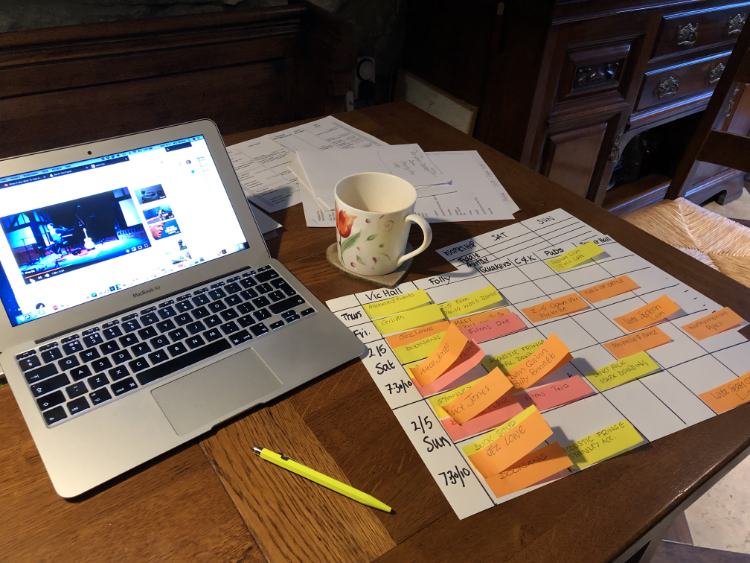 As the planning for 2019 gathers pace we are privileged to get a glimpse into the throbbing heart of the organisation! Don’t forget that The Settle Folk Gathering CD “From the Lion’s Den” is still available to purchase. All proceeds go to funding the Gathering. Click HERE to go to the CD page! As in previous years the Settle Folk Gathering will be FREE! There are no tickets and no reservations however there will be some provision for disabled visitors. We would like to extend our thanks to the local organisations which have kindly sponsored last year’s event. This project was part funded by Stories in Stone, a scheme of conservation and community projects concentrated on the Ingleborough area. The scheme was developed by the Ingleborough Dales Landscape Partnership, led by Yorkshire Dales Millennium Trust, and supported by the Heritage Lottery Fund. We would also like to thank the local businesses and individuals who generously donated raffle prizes which greatly assisted with our fund raising. Lay of the Land, Garden Shed, Car and Kitchen, Co-op, Naked Man, The Italian Restaurant, The Talbot, The Corner, Rachel and Mike Benson, Wholesome Bee, Claire and Graham Douglas, Castleberg Sports, Lamberts, Field to Home, Settle Coal, Settle Swimming Pool, Dales Angels, 3 Peaks Cycles, Forage and Feast, Diane Allen and Settle Music. As the Gathering is a FREE event we always welcome donations to help us bring the best of the folk world to Settle. If you would like to donate please click the button below. You can also follow us on the Settle Folk Gathering Facebook page. Any queries via Facebook, or to info@settlefolk.co.uk.